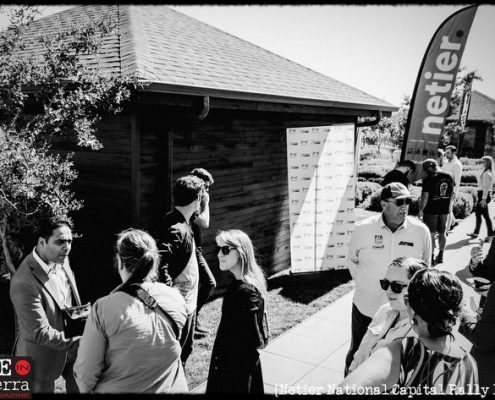 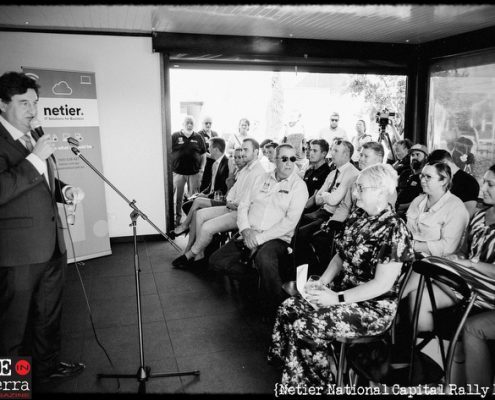 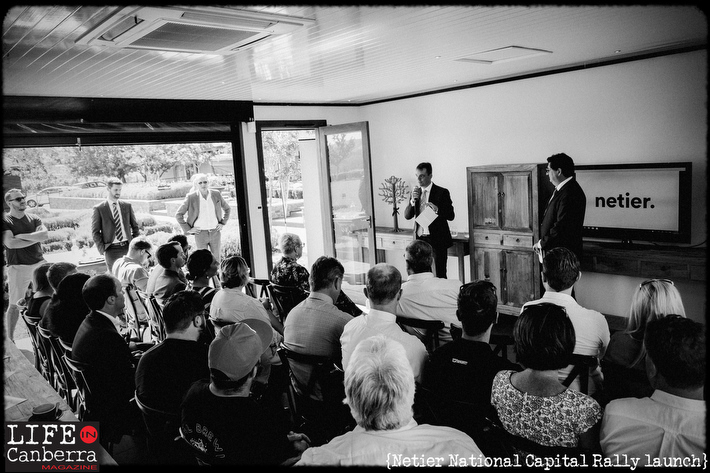 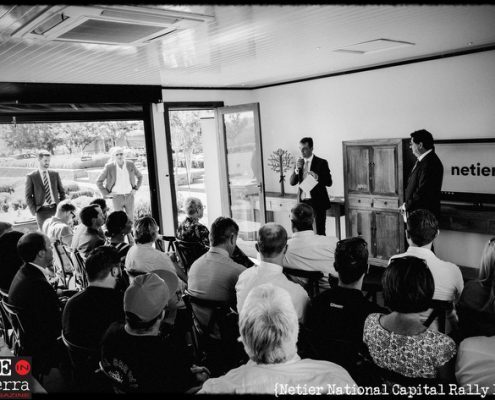 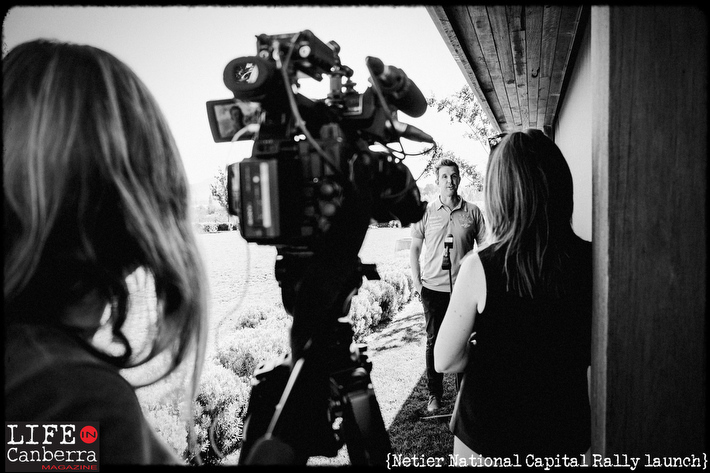 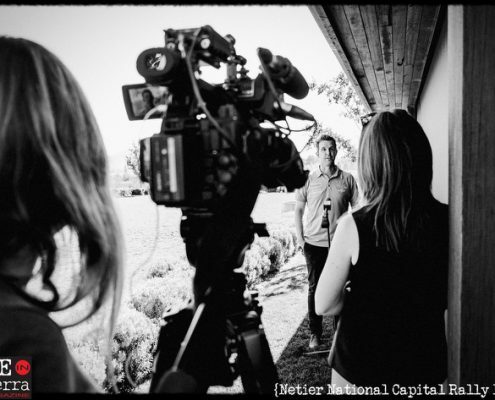 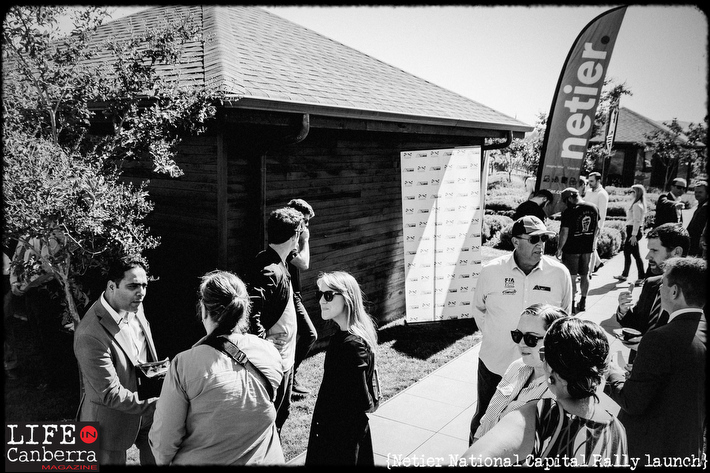 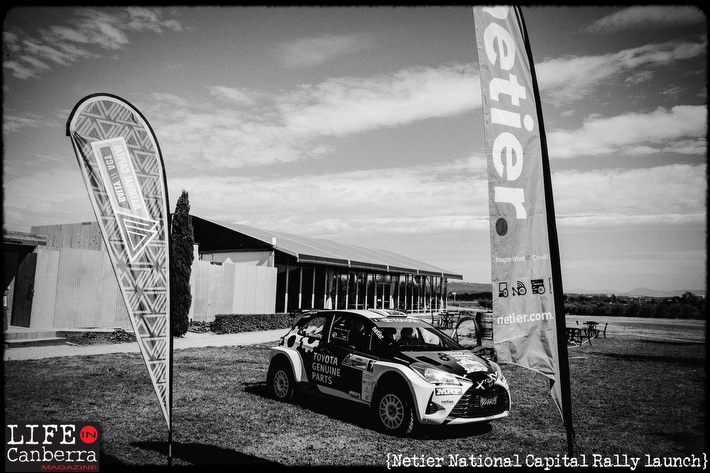 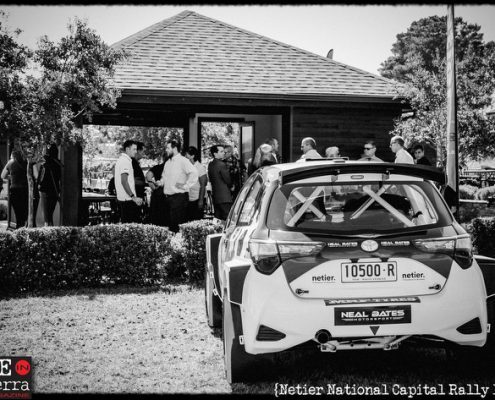 The launch of the Netier National Capital Rally at Pialligo Estate was a great success. 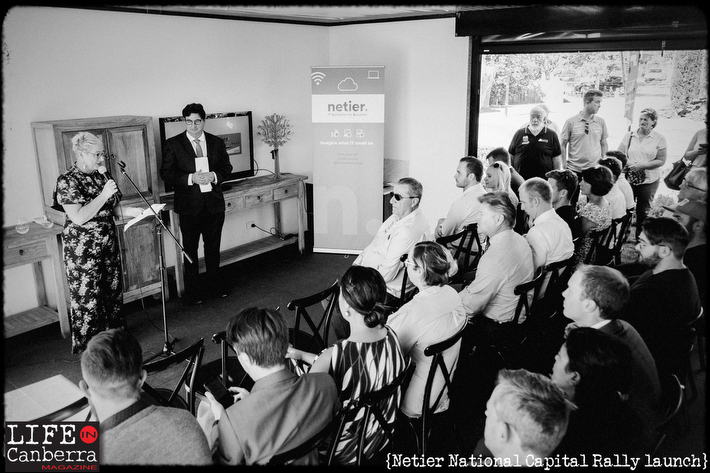 We had over forty guests, media and sponsors attend the event on a beautiful sunny day overlooking the Canberra skyline. 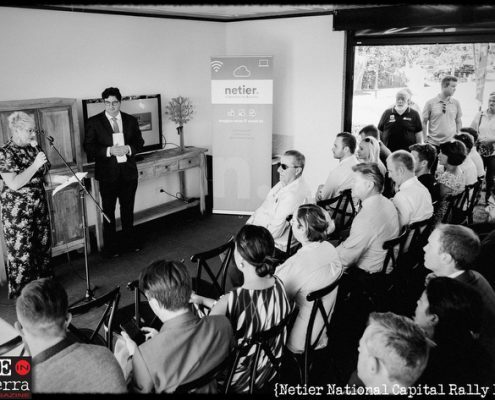 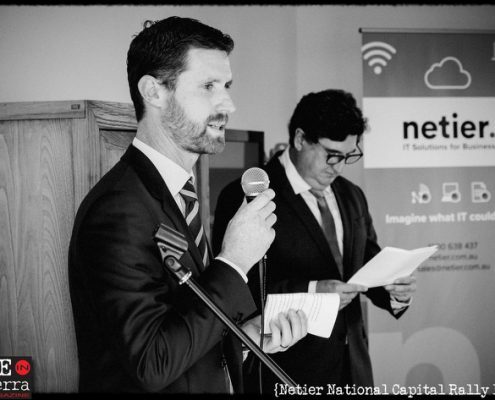 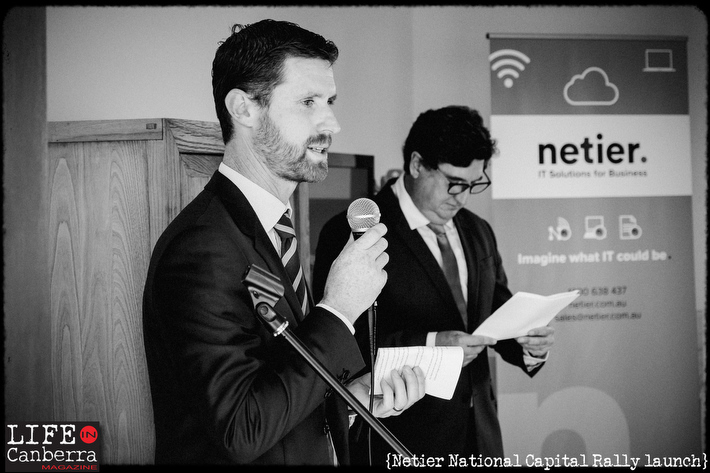 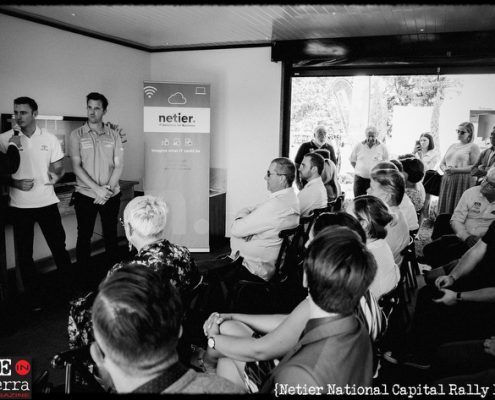 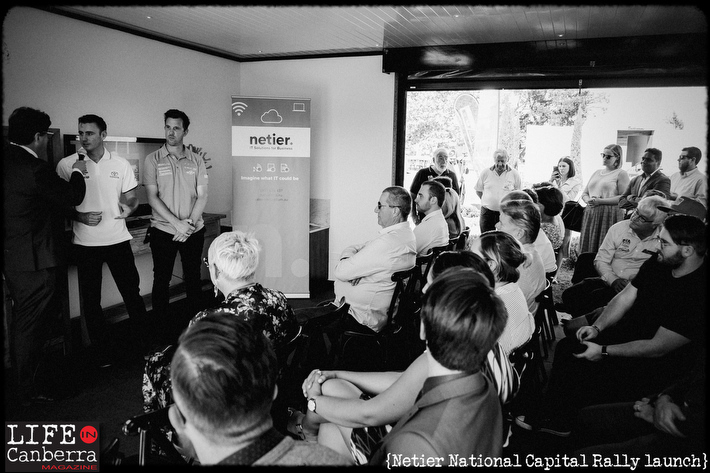 Tim Gavel MC’d the event, Bec Cody MLA spoke on behalf of the ACT Government and Managing Director, Gordon Hayes was so proud to speak on behalf of Netier. 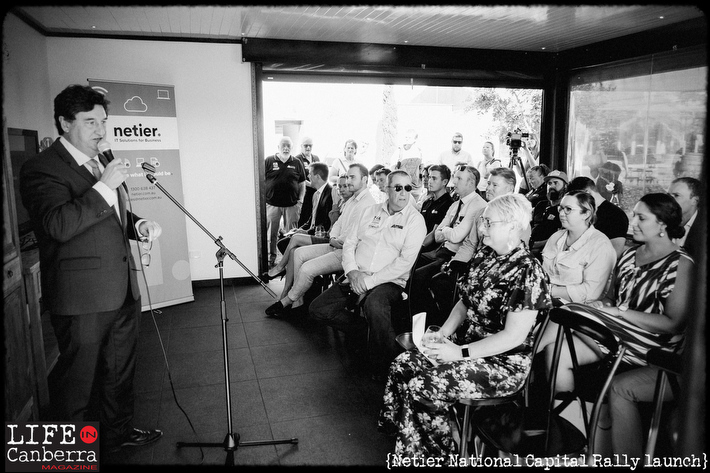 Nine News Canberra, 2CC radio, Prime 7, HerCanberra, Out in Canberra, Canberra Weekly and The Canberra Times were just some of the media who attended the launch which after all formalities was followed by canapes and wine tasting from the local produce at Pialligo. 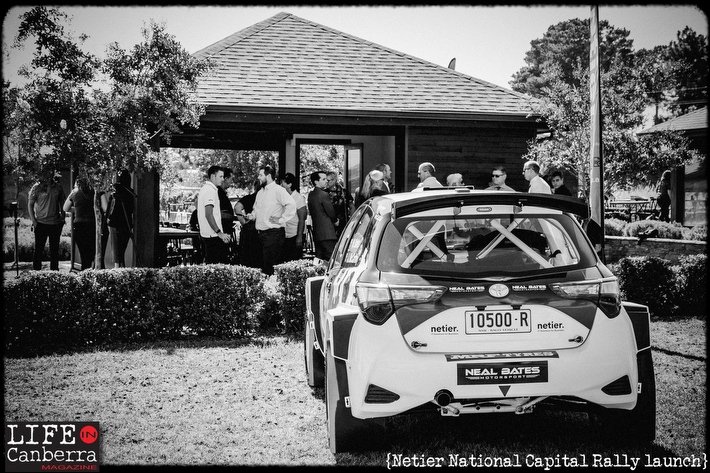 Marketing Manager Jess Baker and Project Manager Michael Wallace (who is also Event Manager for the Netier National Capital Rally) organised the launch and were proud to say that it was the most successful launches in rally history!